Features: YAMAHA DELUXE ENGINE METER To help you to maintain your generator at proper service intervals, service intervals are preprogrammed into this meter (10 hours initial, every 50 hours thereafter). Upon reaching the specified service interval, the meter displays a flash alert for a two-hour period. 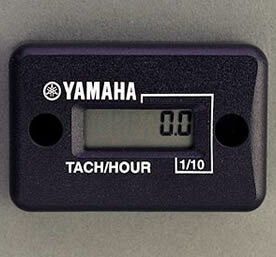 Includes hour meter and tachometer functions. Works with all Yamaha gasoline generators and pumps.